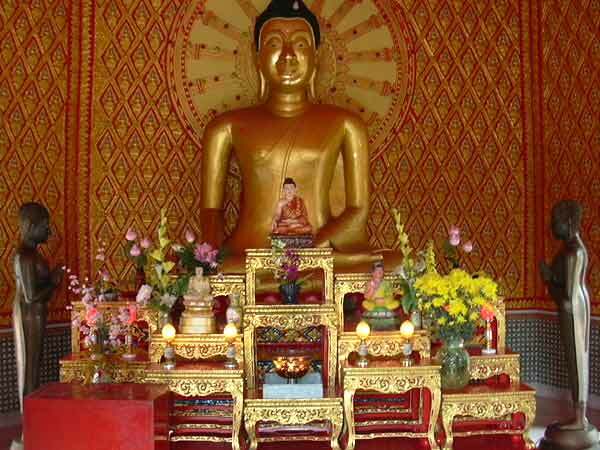 Buddhist Festivals, Festival Of Buddhist, Religious Buddhist Festivals, Buddhism Festivals, Buddhist Festival. Buddhist festivals in India are observed with religious fervor. Check out our related section and learn about the Buddhist festivals in India. Buddhist festivals are centered more or less around events connected to the Buddha and the Bodhisattvas, the compassionate Buddhas who stay on the earth until everyone has been liberated. It is also said that these festivals were started by lord Buddha himself. As, he advised his followers that for keeping in touch and staying in a bond among themselves they should 'meet together regularly in large numbers'. keeping this as a basis for the festivals several festivals are organized by the spiritual Buddhist leaders. The public face of festivals is not too often seen, especially in India; that has much to do with the present state of the religion, but, if history is to be believed, little to do with what celebrations were like during the days when Buddhism flourished. Historical writings tell of the days when the pomp surrounding Buddhist festivals was similar to that of the greatest of Hindu festivals now. Chinese traveller Fa Hien talks of the 400-foot tower in Peshawar, which had the Buddha's alms bowl. There were also shrines throughout India which housed relics of the Buddha or his disciples, and hosted festivals on a grand scale. Shades of that scale are now restricted to a few events like the Festival of the Tooth in Kandy, Sri Lanka, where a tooth of the Buddha, encased in a casket, is taken out in procession on the full moon in August. The veneration and worship of relics on a large is unique to Buddhism. Festivals nowadays are more spiritual and religious than social in nature; where social, they are more or less restricted to service to the community. They are more an occasion for the Buddhists to remind themselves of the spiritual path they have to follow. Buddhist festivals are part of the long and hard life that this small but ever growing community have been through. Every festival have a particular legend attached to it and have a great story that follows it.